"…..I think it looks amazing. I'm very fortunate that my flat is at ground level and from where I sit, it is perfectly framed by my front window and brings the sky indoors….. I'm enjoying simply watching the faces of people walking by! Every single person has looked to the top and I know that psychologists have proved that the act of 'looking up' literally raises the spirit! 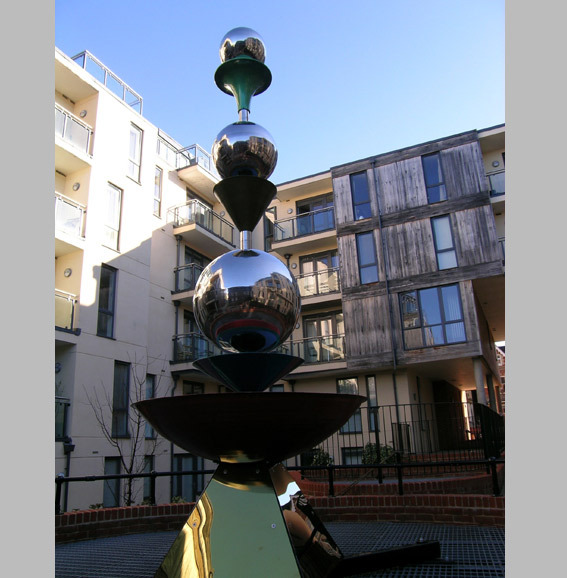 The piece looks just as lovely at night as all the lights in the flats are reflected like fairy lights!"